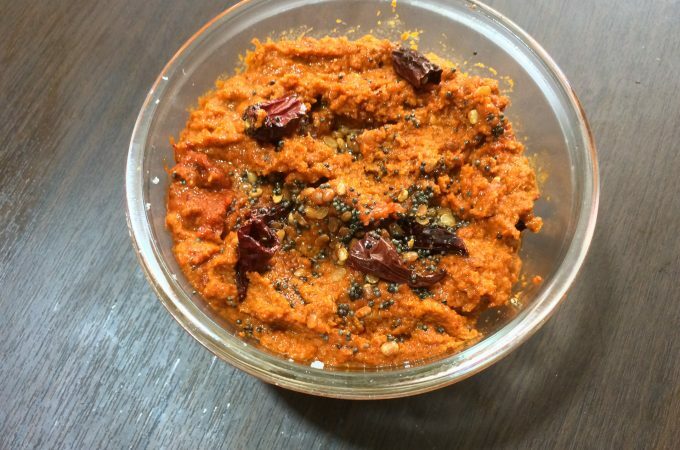 Simple bitter gourd chutney goes well with chapathi, rotti, rice … Bitter Gourd aka Karela, hagalakayi .. is as the name says it is bitter in taste but has enormous health benefits. 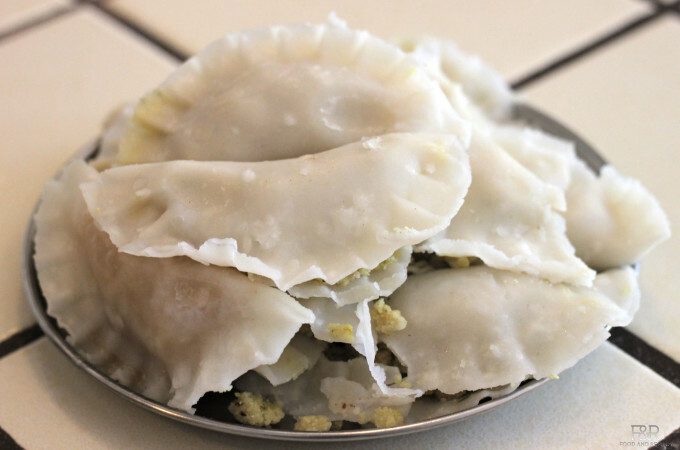 Many people like the bitterness of this hagalkaayi but some of us needs some sweetness in the dishes. So we prepare this karela with right amount of sweet and sour ingredients to make it more appetizing to consume this hagalkaayi. This is gluten free, vegan side dish. Cucumber chaat or southekayi chaat reminds me of my college days, we used buy from the churumuri stall near our college. Both tomato chaat and cucumber masale are our regular snack during our lunch time. 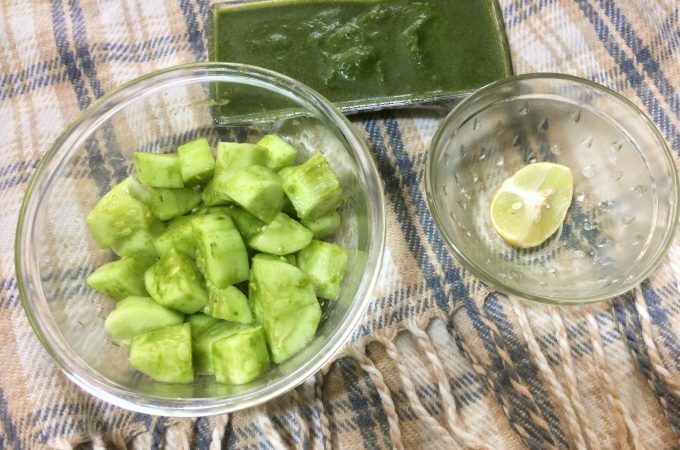 Cucumber chaat is quick and easy, healthy snack. 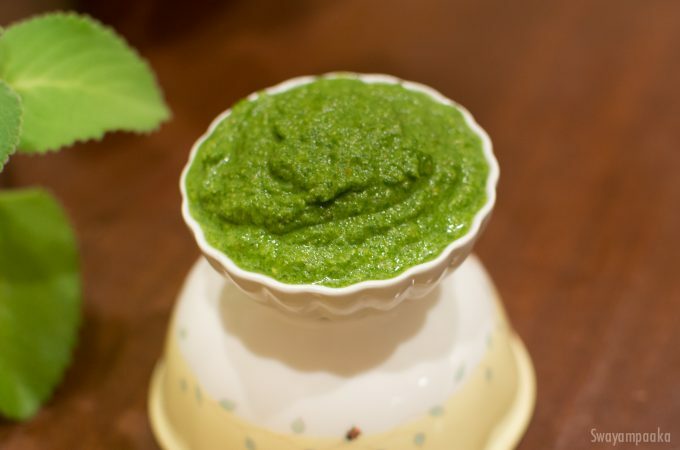 Make this green chutney ahead of time, you can freeze it and use it when you need. Nuchchinunde, gundponglu goes well with this green chutney as well.